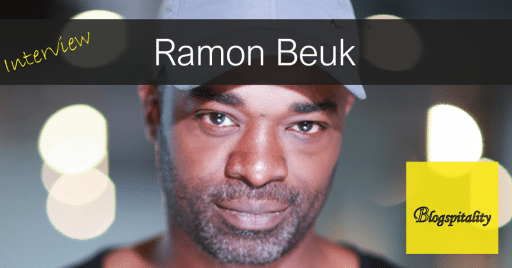 Most people know me as Ramon Beuk, the chef. A couple of years ago this is indeed how the story began. In my book “Terug naar mijn Roti” I elaborate on the start of my career as a chef, and a passion for cooking which all started with my mother in Suriname. I enjoyed creating a product, and to put my feeling into something, which is the reason I started an education to become a chef. I started working in the kitchen, but soon I noticed I did not like it this way at all. I started analysing what the reason was I did not enjoy it, and soon I discovered I missed something; What I saw from my mother, the creation of food, giving this to others and rejoicing them by doing so, was hard from behind a wall in the kitchen. To create, to share and to make one happy are the three driving factors behind the things I enjoy doing. This is the reason I started creating concepts where I can do those three things. Currently I am supporting the development of a new hotel concept. My role in this team is to support the translation of the idea and the feeling that we have in our minds to a tangible product. This is one of the hardest things to do. Many entrepreneurs have amazing ideas, know exactly what they want and have a great story behind it, but the transition is the hardest part. This results in another challenge; companies communicate their product in a complete different way than it truly is. Marketing is part of that, which makes the appearance not the same as the actual concept, which results in employees not getting the idea and the story behind their working place. If the product coming from the kitchen and the way you are served are not connected to the vision, it gets really hard to bring across what you want to communicate and share. Hospitality is rather simple, it is constantly aiming to make people happy. That should be your goal, because that is what keeps your business going. Also, if you have your story straight, and you are capable of transmitting this to your staff, you create loyalty and engagement. Your guests will feel this; they will feel comfortable and want to ‘be here’, they get what they expect, and they will be happy. Therefore, you should always be wondering; Do I communicate what I want to communicate? Am I creating the right impression? You do not need corporate language to incorporate your employees, you need feeling, sense and thought to do so. I like to compare the creation of a concept to a church; What are your beliefs, what would you like to share and what do you desire to transmit? If everyone is on the same page and the initial idea is carefully shared, this simplifies the total operation of the business. Another thing I look for when hiring the right people, are two essential characteristics; empathy and helpfulness. Skills can be taught, but these characteristics should be in the DNA of my employees. When I just started as an entrepreneur, I developed my concept together with people I knew in person. Everybody knew exactly who I am, why I do what I do, and what I stand for, no explanation required. We started expanding and the business was growing like cabbage. The larger the organisation, the harder it gets to keep the unity and shared focus. Looking back at this, I think this was one of my most important learning moments. Because you do not hire every single employee yourself anymore, and you are not present every day, people start filling in what they think is the “right thing”, which might be the complete opposite of your initial idea. This was one of the pitfalls that, looking back at it now, has taught me a lot. If people are not convinced of my persuasion and do not share my vision, it would not be the best idea to start working together. It is very difficult to create the same way of thinking. It is highly frustrating to try to get things to what you had in mind, and to steer back while feeling the resistance. Communicate your why and wow! The pitfalls have resulted in me being more self-aware and sharper. In stead of me jumping in the water all by myself, waving at the others on the shore that it’s all fine and they should follow my way, I now explain why I do what I do, which makes it all clear from the beginning onwards. Hospitality is an industry which is completely based on feeling. I enjoy steering out of a fundamental feeling, create a “WOW!”-effect with my guests and transmitting the feeling of community. This is also one of my dreams; to keep creating and leave a legacy, something that will remain existing even without me.